Update: Thank you for supporting the Name a Note campaign! Donors will receive a personalized email linking to their sponsored phrase. 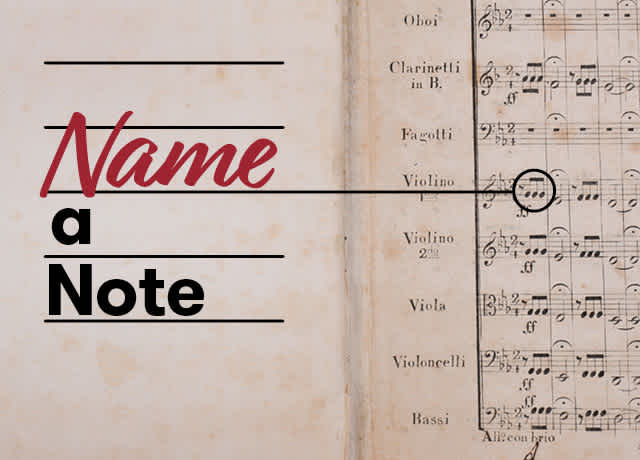 We are proud to present the 2017 Name a Note digitally amended score, featuring the first movement of Beethoven’s Symphony No. 5 in C minor, Op. 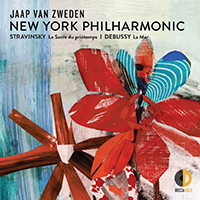 67, synced to a recording by the New York Philharmonic, from a 1933 performance conducted by then-Music Director Arturo Toscanini. If you are one of our 2017 Name a Note sponsors, watch for your phrase and requested listing below. In 2017 we celebrated the New York Philharmonic’s 175th anniversary, highlighting the All-Star musicians that comprise our orchestra. Supporters of the 2017 Name a Note campaign receive a commemorative certificate and gift, and a melodic phrase from the first movement of Beethoven’s Fifth Symphony featuring the original score used at our inaugural concert 175 years ago, in 1842, from the New York Philharmonic Archives. With ticket sales covering less than half of our annual operating costs, generous donations from our donors enables the Philharmonic to thrive. To make a gift, we invite you to explore a membership, or support our Education Fund or Annual Fund. Thank you for your support, and check back next season for 2018 naming opportunities!